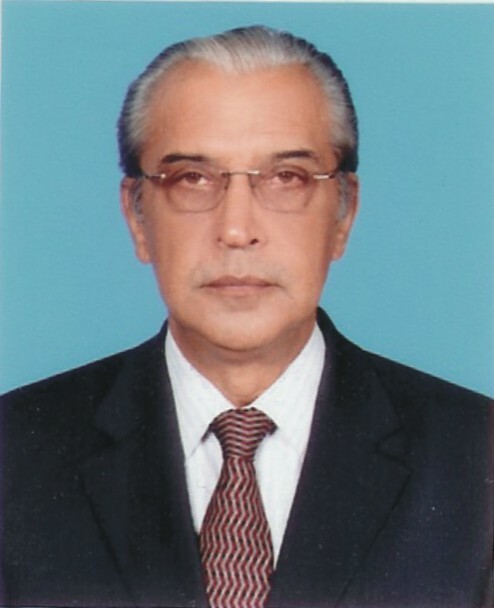 Mr. Justice Hamid Ali Mirza was born on 14-09-1940 at Jacobabad, Sindh. Did his Matriculation, B.Sc and L.L.B in 1954, 1959 and 1961 respectively from University of Sindh, Jamshoro. Practised as an advocate from 1961 to 09-12-1973 before joining the Provincial Judicial Service on 10-12-1973 as Senior Civil Judge & Assistant Sessions Judge. Promoted as Additional District and Sessions Judge on 20-02-1976 and served in this capacity at Karachi, Sukkur, Nawabshah and at many other places of the Province of Sindh. During his eight years stay as Additional District and Sessions Judge, he had the privilege of serving as O.S.D Law reforms, High Court of Sindh, Karachi for around two years. During this period he also attended the Advance Course conducted by NIPA, Lahore. Mr. Justice Hamid Ali Mirza was promoted as District and Session Judge on 26-01-1983 and served in this capacity for over twelve years. As District and Sessions Judge he remained posted at Nawabshah from 03-07-1985 to 17-09-1985 and at Karachi South from 08-09-1990 to 10-09-1991 and from 26-09-1992 to 05-06-1994. He also served as Judge Small Causes Court Karachi from 26-01-1983 to 25-03-1983 and from 10-09-1984 to 01-07-1985. He had the distinction of remaining the Registrar of the High Court of Sindh twice from 26-03-1983 to 09-09-1984 and from 06-06-1994 to 09-04-1995. He remained the Solicitor, government of Sindh for five years from 18-09-1985 to 18-09-1990, and Chairman Appellate Tribunal for Local Councils of Sindh from 26-09-1991 to 25-09-1992. Mr. Juctice Hamid Ali Mirza was elevated as Judge, High Court of Sindh on 10-04-1995. In addition to duties as Judge, he also remained as Member Syndicate, University of Sindh, Jamshoro twice from 28-05-1995 to 23-12-1997 and from 03-06-1998 to 27-04-2000; Trustee Agha Khan Medical University. As Member, Election Commission of Pakistan, he participated in the Workshop for Commonwealth Chief Electoral Officers’ held at Dhaka, Bangladesh from 7th to 10th April, 1997. Mr. Justice (R) Hamid Ali Mirza was elevated as Judge, Supreme Court of Pakistan on 28-04-2000 and retired in 2005. He was appointed as Chief Election Commissioner on 17th March 2009. Rehana Saigol is a big name in Pakistan’s fashion industry, working terrifically in highlighting the name of the country both nationally and internationally. She is ranked among the top fashion designers of the country. She is also a pioneer of jewelary designing. She is credited to have brought a variety of enthralling and charismatic outfits for women including embellished lehengas, saris and traditional suits. She launched her women’s wear label just a couple of years ago. Her women’s wear couture collection ‘Beyond Ivory’ reflects her vision and philosophy of bringing back the saree to the wardrobe. ‘Beyond Ivory’ is crafted on a variety of fabrics such as georgette, net, velvet and tissue and embellished with threadwork, crystals, beads, dabka, kora and sequins. She has establishied her name in designing of bridal and other types of formal sarees in particular. She has experimented with different styles of structuring the saree beyond the traditional six yards of fabrics. Her collection presents variations in her pursuit of contemporizing and glamorizing the saree. Beyond the fashion world, she also made it big on the international bridge scene. Besides making it to the national bridge team on numerous occasions, she became the first and todate the only lady to head the Pakistan Bridge Federation. Mr. Muneer Kamal, the Chairman of Karachi Stock Exchange, has over 31 years of extensive experience in banking and financial sector. His career started with Citibank where, between November 1979 and July 1994, he served locally and internationally on various senior positions including his term as Director, Head of Country Public Sector and Financial Institutions. During this association, he also attended a number of training courses/ programs in Far East, Middle East and Africa. Mr. Kamal then joined Faysal Bank Limited as President/CEO and lead to spread out its operations from 3 branches to 11 and also expanded the balance sheet size from Rs.3 billion to Rs.30 billion. Mr. Kamal also held position of President/CEO, and then as Vice Chairman and Chief Operating Officer (International) of the Union Bank Limited, where he had been instrumental in various acquisitions done by Union Bank Limited i.e. Bank of America, American Express Credit Cards, Emirates Bank International and Mashreq Bank, Sri Lanka. As a result, Union Bank appeared as a success story and was ably acquired by Standard Chartered Bank. After his stint with Union Bank, Mr. Muneer Kamal, an MBA from University of Karachi, began his current association with KASB Group - first as President/CEO of KASB Bank Limited from November 2005 to August 2010 and now as Vice Chairman of the Group. For KASB Bank, he again oversaw the manifold expansion of operations coupled with acquisition of other entities and introduction of new and modern products, services, policies, procedures and systems. As Vice Chairman of KASB Group, he is responsible for business development and growth of group entities along with the strategic relationship with affiliates. As such, the Presidents/CEOs of all group companies report to him. Mr. Muneer Kamal also holds positions as Chairman of Pakistan Export Finance Guarantee Agency Limited, as Member - Resource Committee of Aga Khan University, and as Trustee of Shaukat Khanum Memorial Cancer Hospital & Research Centre. He is Director of Asia Care and New Horizon Exploration & Production Limited. He is also on the Board of National Industrial Parks Development and Management Company. Besides holding the position of Chairman, Mr. Muneer Kamal is also the Chairman of Human Resources Committee and Defaulters' Committee of KSE's Board. Mr. Haroon Askari holds an MBA degree from Institute of Business Administration, Karachi and has been working as Head of Operations at Karachi Stock Exchange (KSE) since December 2005 till he was appointed as Acting Managing Director of the Exchange on November 01, 2010. In addition, he is also a member of Textile Institute, London. Mr. Askari carries a diverse experience of around 37 years in different businesses. His professional life began when he established business in London by the name of SSH Associates. He successfully managed SSH Associates for about 18 years before returning to Pakistan and then acquired the membership of KSE in 1993. He continued the brokerage business at KSE till 1999 during which period he was accredited as broker dealer for various financial institutions and as financial advisor for a leading Investment Bank. From 1999 to 2003, Mr. Askari remained engaged in real estate business in USA and UK before he established and managed Pakistan's first ever stock market and financial news channel, SUN TV from 2003 to 2005. Mr. Haroon Askari is the Chairman of Voluntary De-listing Committee besides being the member of Human Resources Committee, Investment Committee, Committee for hearing appeals of members and Committee for handling cases of suspension or expulsion of members and imposition of fines. Mr. Askari also represents KSE on the Board of Central Depository Company of Pakistan Limited, National Clearing Company of Pakistan Limited and Institute of Capital Markets. Mr. Muhammad Ali was appointed Chairman of the Securities and Exchange Commission of Pakistan (SECP) on December 24, 2010. He has an extensive and diversified corporate and financial markets experience spread over 20 years. An MBA from the Institute of Business Administration (IBA), University of Karachi, Mr. Ali is a well-known professional and entrepreneur. He started his career with Citibank and moved on to Smith New Court Securities in London. In 1994, Mr. Ali finalized a joint venture with Indosuez W.I. Carr Securities (Asian brokerage arm of Credit Agricole Indosuez) and led Indosuez W. I. Carr Securities, Pakistan for six years. During his tenure as CEO, the company became one of the largest and the best rated brokerage houses in Pakistan, attracting one of the highest levels of foreign portfolio investment in the country’s equity markets amongst all market intermediaries. Mr. Ali also led the expansion of W.I. Carr’s business activities to Bangladesh and finalized group’s strategy for Middle East and North African markets. Mr. Ali then changed his focus to private equity investments and setting up of new businesses. He has been the driving force behind the creation and success of various companies in Pakistan, Middle East and North America in financial, real estate development, information technology and digital content management sectors. Mr. Ali was responsible for idea generation, planning, funding and setting up of these businesses. Mr. Ali has also served as a Director on the Boards of reputable companies like Engro Corporation Limited, Karachi Stock Exchange (Guarantee) Limited, Dawood Bank Limited, etc. Rtn. Shehzad Ahmed District Governor 3271, received his early education from Cadet College Hasanabdal, a premier educational institution in the country. He was the Wing Commander (the best cadet) during his final year (F.Sc). He received his B.S. and M.S. in Industrial Engineering from Iowa State University, USA. After coming back to Pakistan, he founded PROMARK, a management consulting company, and has been leading it as its Chief Executive/Director. He also worked as Executive Director at Descon Information Systems. Shehzad is actively involved in social service activities. 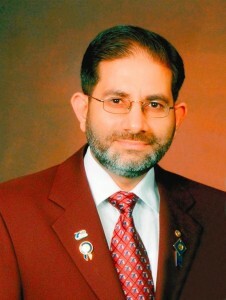 He joined Rotary Club of Lahore Garrison in 1997 and has been serving the District in various capacities since 1999-2000, such as Assistant Governor, Rotary Youth Leadership Awards (RYLA), Matching Grants, World Community Service (WCS), eClub, Literacy, Polio Plus, TRF Alumni, District Advisory Council, Public Image Promotion, District website and Internet, etc. Shehzad has helped numerous Rotary Clubs in the District in finding international partners for their humanitarian projects. He is the recipient of The Rotary Foundation District Service Award. R.I. District 5390 (Montana) awarded him a commemorative shield through Past R.I. President Richard King for being the “Outstanding International Host District’s Grants Subcommittee Chair for 2004-05” at Centennial Convention at Chicago. R.I. District 5890 (Houston) awarded him Paul Harris Fellow in recognition of his services. He has also been recognized for his services by other social service organizations, such as Layton Rahmatulla Benevolent Trust (LRBT), Rising Sun Institute for the mentally challenged, Fatima Memorial Hospital, The Trust School etc. Mayor Helene Schneider from the City of Santa Barbara, USA presented him proclamation in January 2010 in recognition of his community services. He has addressed Rotary Clubs in Canada, India, Thailand, UAE, UK and USA on their invitation. 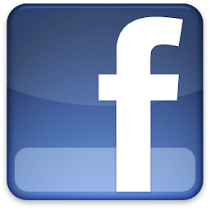 His RotaryDistrict3272 yahoogroup (formerly Rotary3270) is an excellent source of Rotary information and fellowship. He is life member of various professional bodies including Alpha Pi Mu (Industrial Engineering Honor Society, USA), Institute of Engineers, Marketing Association of Pakistan and Pakistan Engineering Council. He has been Central Executive Committee member of Pakistan Software Houses Association (P@SHA) and Co-convener and member of various Standing Committees at Lahore Chamber of Commerce and Industry. He is founder member and advisor to many non-profit organizations. He is a Life member of Rotarians On The Internet (ROTI) and different Rotarians Action Groups. He and his wife (Dr. Maimoona Ali) are Major Donors Level 2 and the first and the only Bequest Society Members in the District. He is also a Benefactor and one of the founder members of Paul Harris Society. Dr. Maimoona is Past President of Innerwheel Club of Lahore Garrison. Both their daughters (Fatima and Aaesha) are Paul Harris Fellows and members of Interact Club. Fatima is currently District Interact Representative (DIR) and is Charter Member and Past President of Interact Club of Lahore Garrison. Mr. Tariq Sayeed Saigol is the chairman of Kohinoor Maple Leaf Group. He is a member of the reputed Saigol Family who pioneered in Textile manufacturing after partition and later ventured into the financial sector, chemicals, synthetic fibres, sugar, edible oil refining, civil engineering, construction, cement and energy. Mr. Saigol was schooled at Aitchison College, Lahore and graduated from Government College, Lahore following which, he studied Law at University Law College, Lahore. He started his career in 1968 at Kohinoor’s Chemical Complex at Kala Shah Kaku. Upon trifurcation of the Group in 1976, he became Chief Executive of Kohinoor Textile Mills Limited, Rawalpindi. Since 1984, he has been Chairman of Kohinoor Maple Leaf Group which has interests in textiles, energy and cement manufacturing. He has been Chairman All Pakistan Textile Mills Association in 1992-94, President of Lahore Chamber of Commerce and Industry for 1995-97 and Chairman, All Pakistan Cement Manufacturers Association from 2003-2006. Mr. Saigol has been a member of the Federal Export Promotion Board and Central Board of State Bank of Pakistan. He has also served on several Government Commissions and Committees on a number of subjects, including Export Promotion, reorganization of WAPDA and EPB, Right Sizing of State owned Corporations and Resource Mobilization. He is the author of Textile Vision 2005 which was adopted by the Government in 2000 and its critique prepared in 2006. He takes keen interest in the development of education in Pakistan. 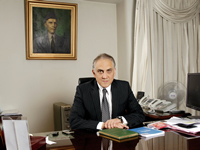 He has been a member of the Board of Governors of Lahore University of Management Sciences, Founding Chairman of Governors of Chandbagh School, founder Trustee of Textile University of Pakistan, member of the Syndicate of University of Health Sciences and presently serves on the Board of Governors of Aitchison College. He is conferred with Sitara-e-Isaar by President of Pakistan in 2006. Presently Mr.Tariq Saigol is a Board member of the State Bank of Pakistan. He is also a member of the Economic Advisory Council, constituted by the Prime Minister, to provide independent advice to him on the formulation and implementation of economic policies and reform agenda. 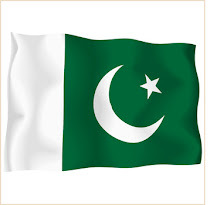 He is a keen golfer and has represented Pakistan at Golf in Sri Lanka and Pakistan in 1967. Mr. Saigol is married and has 3 children. Sardar Tariq Azizuddin comes from a Peshawar Sadozai family known as the Peshawar Sardars, who have historical blood links with the former Afghan King Shah Shuja and the founder of modern day Afghanistan, Ahmad Shah Abdali. His late father and the other members of the family have a history of military service in various Regiments of the Pakistan Army. He was born in Peshawar on 31 May 1951, where he spent his early life and education. He graduated in Political Science and History from the University of Peshawar. He joined the Pakistan Army in 1969 as an Officer Cadet and was commissioned in a Cavalry Regiment, Probyn’s Horse in 1971. He saw action in the Indo-Pakistan war of 1971. He rose to the rank of Captain. He transferred from the army to the Foreign Service of Pakistan in 1975. In the Foreign Service, he served in various Pakistan Diplomatic Missions. He was Vice Consul in Manchester, UK (1979-83), First Secretary in Cairo, Egypt (1986-89), Counsellor & Deputy High Commissioner in Kuala Lumpur, Malaysia (1989-92), Counsellor & Charge’ d’Affaires in Kabul, Afghanistan (1992-94), Consul General in Los Angeles, USA (1997-2001), Ambassador of Pakistan Sarajevo, Bosnia & Herzegovina (2001-2004), Ambassador of Pakistan in Kabul, Afghanistan (2005-2008). He is currently Ambassador of Pakistan in Ankara, Turkey since January 2009. In between the foreign assignments, he served on different positions in the Ministry of Foreign Affairs, Islamabad, Pakistan, as Section Officer, Director, Director General and Chief of Protocol. He was decorated with Sitara-i-Shujaat (Star of Valor) for his service in Afghanistan in 1992-94. He is married to Naila, daughter of Sardar Abdul Wahab Khan, who was the son of Amir Mohammad Yaqub Khan, Ruler of Afghanistan 1878-81. He has a daughter Saira and two sons Ali and Assad. He enjoys hunting (ducks&partridge) and gardening. 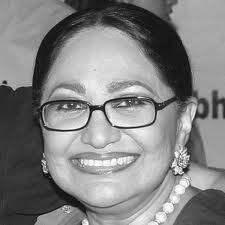 Ms. Rahat Kaunain Hassan was appointed Chairperson of the Competition Commission of Pakistan (the ‘Commission’ or ‘CCP’) on July 26th 2010, and has served as Member (Legal and Office of Fair Trading) of the Commission since its founding in November, 2007. She received a Master’s degree in law (L.L.M. ), from King’s College, London, having concentrated her academic work on the law of international finance and international business transactions. She has been associated with and has been a partner at some of Pakistan’s finest civil and commercial law firms. In 2001, Ms. Hassan was appointed General Counsel/Executive Director at the Securities and Exchange Commission of Pakistan. Soon after the conclusion of her tenure at SECP, Ms. Hassan established her own law firm which engaged in civil, commercial and regulatory law practice. However, her interest in and commitment to public service resulted in her accepting the nomination as Member of CCP in November, 2007. As Member, she was instrumental in the establishment of the Office of Fair Trading within CCP and has authored numerous position papers, guidelines, policy notes regarding important issues of competition law and policy. Moreover, she has co-authored most of the seminal Orders passed by CCP including those that resulted in breaking the most pernicious cartels. A working mother of four children, Ms. Hassan has been a high achiever in her field, and in recognition of her commitment to public service received the Women of Achievement Award, 2010. She has also been nominated for the Sitara-e-Imtiaz. Mr. Ali Arshad Hakeem has a dynamic professional background in both public and private sector organizations of Pakistan as well as abroad, and had joined NADRA as Chairman on August 12, 2008. His versatile experience had brought many value additions and a completely service oriented vision to NADRA. He not only served in Pakistan’s Central Board of Revenue for ten years at Senior Management positions but had also been closely involved with Business Process Outsourcing Operations, Computerization of Land Records and Automation of Customs Process in Pakistan. His special interests include Data Mining for National Security & Poverty Alleviation. He holds a degree in Electrical Engineering, Business Administration and Law and believes in an optimistic change through innovation in various Business and economic ventures. Bina was born in Karachi, Pakistan in 1972, and was raised in Charlottesville, Virginia, and Karachi. She graduated in 1993 with a degree in Psychology from Wellesley College, in Wellesley, Massachusetts; and went on to complete a Masters in Education from the Harvard Graduate School of Education in Cambridge, Massachusetts. 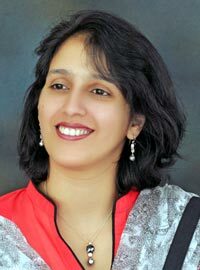 Returning to Pakistan in 1995, she served as the editor for Computerworld Pakistan and Spider Magazine, both well-known IT publications in the fledgling Internet industry. 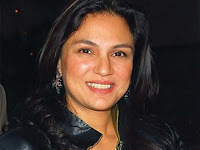 At the same time, she began to write extensively for other Pakistani newspapers, including the Dawn, Libas, the Friday Times, and the Pakistani Web site Chowk. Her humorous writing, political satire, and clear-eyed view of social issues have earned her critical praise and a devoted following amongst Pakistanis all over the world. Bina began writing fiction during this time, and her first book, Animal Medicine, a collection of experimental short stories for young and old adults alike, was published by Oxford University Press in 1999. She wrote two novels, Where They Dream in Blue, about a young Pakistani-American’s search for identity – seen as a largely autobiographical work – and The 786 Cybercafe, which follows the adventures of four friends as they try to set up a cybercafe on Karachi’s teeming Tariq Road. Both were published by Alhamra and became incredibly popular with Pakistani readers, especially teenagers and college students. Bina’s second book of short stories, Blessings, was an exploration of the difficult places – both physically and emotionally – that people have to encounter in their lives, and was set in a variety of backdrops, including rural Sindh, the mountains of the Northern Areas, and America. Bina’s fifth novel, Slum Child, is the story of a young Christian girl who chases her dreams all the way out of the slum and into the richest neighborhood of Karachi. It was published in Italy under the title La Bambina Che Non Poteva Sognare (The Little Girl Who Could Not Dream), and will be published in Spanish in early 2010. Bina’s short stories have been included in several anthologies and writing Web sites. Her short story, “The Wedding of Sundri”, was featured on the Indian web site Women’s Writing and published in the anthology Neither Night Nor Day (HarperCollins India). “The Optimist” was featured in the anthology And The World Changed (Women Unlimited, OUP, and The Feminist Press), an award-winning collection of short stories by Pakistani women writers. “The Angel of Jalozai” was published in the bimonthly journal of the Pakistan Academy of Letters, while “The Good Wife” was published in the German literature journal Literatur Nachrichten. Bina’s essay “A Love Affair with Lahore” was featured in Bapsi Sidhwa’s anthology Beloved Lahore (also published as City of Sin and Splendour in India). Bina lives in Karachi, where she also teaches writing part time at SZABIST. She is involved with the arts and culture scene, writes and speaks on women’s issues, and has done readings at the Second Floor, Karachi’s most well-known alternative coffeehouse and bookstore. She enjoys travel, practices yoga, plays the flute and piano, and loves dogs. Hakeem Syed Abdul Ghaffar Agha the Founder-Chairman of AGHA HERBAL & A vital name of herbal medicine & herbal media presenter in Pakistan. Hakeem Syed Abdul Ghaffar Agha doing his clinic named Matab Al Jabbar at Karachi, Lahore, Islamabad, United Arab Emirates and Kingdom Of Saudi Arabia. He is researching on diseases concerning to Liver, Lungs & Kidney & also on cancer, His patients belongs all over the world. Hakeem Syed Abdul Ghaffar Agha, along with his son Syed Nausherwan Ghalib is proving strategic direction for the several products by AGHA HERBAL. Hakeem Syed Abdul Ghaffar Agha belongs to the family of Hakeems, Hakeem Maulana Syed Abdul Jabbar is father of Hakeem Syed Abdul Ghaffar Agha & he was also famous at kharadar near Achhi Qabar Karachi since 1951 therefore two brothers of Syed Abdul Ghaffar Agha are also Hakeem & doing there clinics separately. 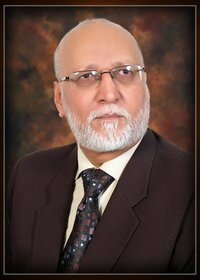 Hakeem Syed Abdul Ghaffar Agha launched Agha Herbal in 2009 and invented some herbal products for hair, skin, teeth, and digestive system and pure honey and providing to all new era of yore adroit. He practices as a herbal consultant in Organic Body Balance Institute, where all facilities are available for our good health i.e. Aerobics, Yoga, Gym, Massage, Herbal Jacuzzi, Herbal Steam Bath, Sauna Bath, Aromatherapy, Dietitian, Gynaecologist & Foot Management is being introduce in Pakistan by him for the first time & now arranging for Organic Healing Centre at rural area. He has success stories that make him a wonderful role model. He is a man who not only dared to dream, but also had the courage to transform the dream into reality. Today he rests on his laurels comfortably and spends the major part of his time in herbal era. Hakeem Syed Abdul Ghaffar Agha is busy in his professional life but always try to do several welfare activities for needy people of all over Pakistan, he is continuous arranging the awareness program about health & healthy life for every body, he is a founder member & x-general secretary of the HINT (helpers in need and treatment trust) and playing a vital role as a trustee member of DUA DALYSIS CENTRE .He is presently providing his services as a general secretary of SSWAB TRUST, where the team of doctors is providing knowledge about kidneys, its diseases and how to cure and get safe from these diseases. They also are providing free dialysis to suffering patients. Born and brought up in London, Mahreen graduated in law from the Cambridge University and then went on to do her masters in public policy from Harvard. After having worked as a Legal and Economic policy adviser with the United Nations in Kosovo she returned back to her roots in Pakistan and hosted BBC World's Question Time Pakistan which is known to be the first TV interview of a Pakistani President outside of State. Atiya Khan was perhaps Pakistan's first super model. Now retired, she focuses her energies towards producing and directing documentaries while keeping a close eye towards Pakistani Fashion, ever vigilant in guiding it with her flair for style and image. She was a big part in the Islamic Fashion week held in Malaysia, in her quest to breathe life and respect in the field. 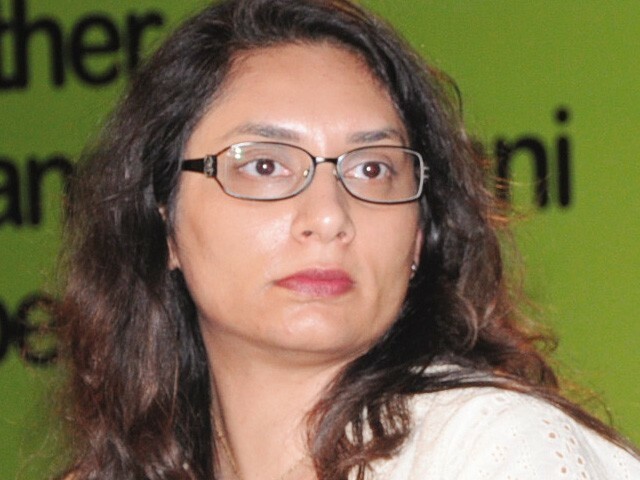 Ms Ameena Saiyid, OBE, is Managing Director, Oxford University Press (OUP) Pakistan - the first woman in the country to head a multinational company. She joined OUP in 1979 and worked in various capacities – sales, marketing, editing, etc. In April 2010, she was elected as President of the Overseas Investors Chamber of Commerce & Industry (OICCI) for 2010-2011 – again the first woman President in OICCI’s 150 years’ history. Queen Elizabeth honored her with OBE in 2005 for her commendable services for the promotion of Anglo-Pakistan relations, democracy, women’s rights, education, and intellectual property rights. Ms Saiyid left the OUP in 1986 to set up her own publishing house - Saiyid Books which grew into a successful business. In 1988, she rejoined OUP to head it. The organization under her dynamic leadership grew to such a remarkable extent that it began publishing a book per week from a book per year. Today, there is no school in the private sector in Pakistan which is not using an OUP book. Ms Saiyid is serving the boards of various organizations in different capacities - Khatoon-e-Pakistan Government Girls High School; Welfare Committee, INFAQ Foundation for Writers, Journalists & Performing Artists; Jinnah Society, Karachi; Vice Chairperson Pakistan-India Citizens Friend Forum; Chairman, Anti-copyright Infringement Forum (ACIF); Trustee, Board of Governors, Duke of Edinburgh Award Scheme; Trustee, Idara-e-Taleem-o-Aagahi (ITA); Trustee, Iqbal International Institute for Research, Education and Dialogue (IRED). Ms Saiyid received her primary education in the US where her father was a diplomat, followed by the Karachi Grammar School and the Karachi University. She received training in Advanced Management from Templeton College, Oxford University, and the Ashridge School of Management, UK. Ms Saiyid joined LEAD Board in June 2006. She is proving a valuable input while serving the Nomination Committee of the Board. 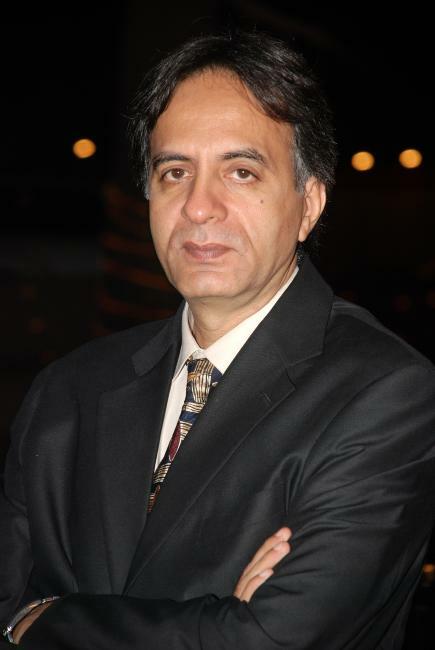 Dr Ahmad Jan Durrani is the Vice Chancellor and Professor of Engineering at Lahore University of Management Sciences (LUMS) since July 2008 with a 25-year long teaching and academic management career. He has served the Civil Engineering Department at Rice University, Houston, Texas as Chair of for six years and as an Associate Dean of Engineering for three years. He is a Fellow of the American Society of Civil Engineers and the Founding Director of the Rice Global Forum on engineering and construction. He is a distinctive researcher and has published reviews/conducted surveys focusing earthquake resistant designs of built infrastructure and seismic hazard mitigation. 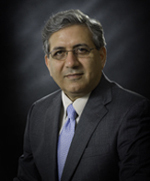 Dr Durrani received his BS in Civil Engineering with gold medal from the University of Engineering and Technology Lahore; MS in Structural Engineering from the Asian Institute of Technology Bangkok; PhD in Structural Engineering from the University of Michigan, and MBA from the University of Houston. He is a former Chair of the Mayor of Houston’s Advisory Council on South Asia and has served for several countrywide professional committees and panels on engineering research and higher education. LUMS VC is an ex-officio member of LEAD Pakistan’s Board since its inception and as such, Dr Durrani guides the organization on a range of issues related to programs, finance, audit, etc. 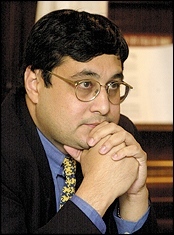 Dr. Adil Najam holds the Frederick S. Pardee Endowed Chair for Global Public Policy at Boston Univeristy, where he is also a Professor of International Relations, a Professor of Geography and the Environment, and the Director of the Pardee Center for the Study of the Longer-Range Future. Prof. Najam was part of the team of IPCC scientists awarded the 2007 Nobel Peace Prize for their work in advancing the public understanding of climate change science. He served as a Lead Author for the Third and Fourth Assessments of the Intergovernmental Panel on Climate Change (IPCC), focusing on the relationship between climate and development. His research and teaching spans a variety of topics all related to sustainable development policy for developing countries, especially focusing on issues of climate change, international trade, global governance, and human security. Prof. Najam has published widely, written over 100 scholarly papers and book chapters. Prof. Najam holds two Masters and a PhD from the Massachusetts Institute of Technology (MIT), a Specialization in Negotiation from the Program on Negotiation at the Harvard Law School, and an engineering degree from the University of Engineering and Technology (UET), Pakistan. He is a past winner of MIT’s Goodwin Medal for Effective Teaching, the Fletcher School Paddock Teaching Award, and the Stein Rokan Award of the International Political Science Association. Mr. Waqar A. Malik is currently the Chief Executive of ICI Pakistan Limited. He has over 22 years of extensive experience working with the group, in senior commercial, finance and strategy roles. He is also the Chairman, Pakistan PTA Limited. Mr. Malik is a Chartered Accountant by profession and a Fellow of the Institute of Chartered Accountants in England and Wales. He served as the President of the Overseas Investors Chamber of Commerce & Industry (OICCI) during the year 2007-2008. Tariq Asmat holds a Master of Commerce Post Graduate Degree from University of the Punjab with specialization in Marketing. At the initial stage of his professional career he worked with few National and Multinational companies thereafter he started electronics business and still holds that business. Apart from import of digital products he is heading a group of educational institutions as Director Projects. He has served in various leadership roles for Advancing Marketing Practices through teaching and the Marketing Association of Pakistan (MAP) – Lahore Chapter. Tariq serves as Vice President of The Marketing Association of Pakistan – Lahore Chapter and works diligently alongside his Board and Corporate partners on creating and offering professional development for MAP members. Additionally, he served as Chairman Registration Committee of the Marketing Congress 2006. In addition to his continued involvement with MAP, he is a member of Lahore Chamber of Commerce & Industry, Pakistan Electrical & Electronics Merchants Association, Lahore Tax Bar Association and Association of Overseas Technical Scholarship (AOTS) Japan. He is a former Chairman of the Pakistan Electrical & Electronics Merchants Association (PEEMA), Convener Regional Standing Committee on local trade Federation of Pakistan Chamber of Commerce & Industry and Convener Standing Committee on Electronics & Multimedia Lahore Chamber of Commerce & Industry. Tariq teaches Marketing and International Business at various public and private sector business schools as visiting teacher. He has spent over twelve years in academic related activities and most of that time with Allama Iqbal Open University. His research and teaching interests are focused on the effects of culture on domestic and global marketing strategy. Mr. Salman Burney has a degree in Economics from Cambridge. He started his career with ICI and worked with them in a number of businesses including Chemicals and Fibres, as Regional Personnel Manager for Africa and Middle East and as General Manager, Agrochemicals and Seeds. He joined SmithKline Beecham as Director Marketing & Sales in 1992 and was appointed Managing Director of SmithKline Beecham in 1997. He is the CEO of GlaxoSmithKline Pakistan since SmithKline Beecham’s merger with GlaxoWellcome in 2001. Mr. Burney was appointed as the President of the Overseas Investors’ Chamber of Commerce & Industry (OICCI) during the year 2006-2007 and at present is also the President of Pakistan Society for Training & Development and a Trustee of the Oxford & Cambridge Society Educational Trust. Saima Mohsin is a freelance journalist based in Pakistan. She is special correspondent for PBS Newshour and contributes to ITV News and Daybreak in the UK. For three years she was the face of DawnNews, Pakistan's first English news channel. She has worked with the BBC, ITN, GMTV, SKY News, Five and Channel Four in the UK. 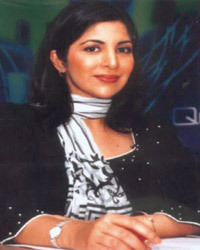 As Senior Anchor at DawnNews Saima was part of the launch team and hosted "NewsEye", the channel's flagship nightly news & analysis programme. After more than 600 programmes NewsEye came off air and Saima moved on to her new two-hour slot 6-8pm"LIVE WITH SAIMA MOHSIN". At its height NewsEye was the most watched program at 9 o'clock in Pakistan. Saima attended the University of Birmingham and in 1998 gained a BA Hons degree in Politics with English Literature, and a Postgraduate Diploma in Broadcast Journalism in 1999. She started her career in Radio working at BBC World Service, Greater Manchester Radio, GLR and Five Live. 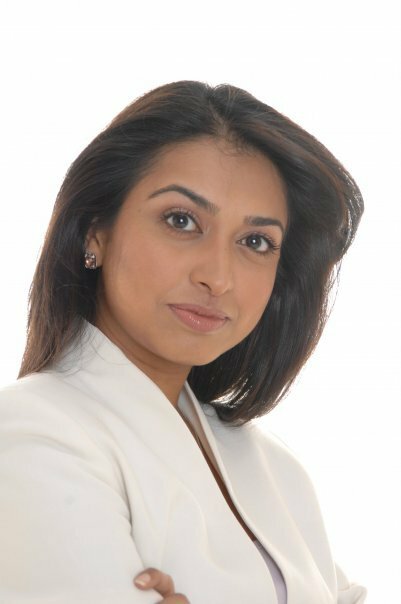 Then in 2000 Saima gained her first job in television joining ITV Meridian as a producer and later on became a presenter/reporter for the station. In 2002 Saima joined BBC Points West as a reporter and presenter. In 2004 she moved to BBC One's Watchdog - the UK's most watched current affairs show, as an investigative reporter on consumer issues, tracking down rogue traders and taking on multi-national corporations. Saima went on to freelance as a newsreader and reporter for BBC News 24, Sky News and ITN. She presented a groundbreaking debate show for Channel Four on suicide bombings and the future of British Muslims following the 7/7 bombings in London. In 2006 Saima joined GMTV - Europe's biggest breakfast show where she covered stories around the UK and the world. Saima has interviewed world famous celebrities and leaders from Tom Cruise to Amitabh Bachchan...and Tony Blair to Benazir Bhutto, Hillary Clinton and David Milliband. Mr. Ashraf Bava is the CEO and major shareholder of Nael Capital (Private) Limited and has first-hand market experience of over 15 years. Mr. Bava's association with Pakistan's capital markets dates back to August 1995 when he joined AKD Securities as Equity Salesperson where he continued till June 1997. He then worked as Senior Equity Salesperson for Westminster & Eastern Financial Services from July 1997 to October 1998 and then, for Invest Capital Securities (Private) Limited from November 1998 to July 1999, before joining Elixir Securities Pakistan (Private) Limited in August 1999 as Head of Sales. In October 2005, he became the CEO of Elixir Securities in which capacity; he performed his duties till February 2008. Thereafter, Mr. Bava founded Nael Capital which started with institutional sales desk, having experienced salespersons handling all institutional clients. Mr. Bava has also planned to establish retail sales desk and research department in future. Mr. Bava is an MBA from Institute of Business Administration, Karachi and a Chartered Financial Analyst (CFA) from CFA Institute, USA. He is on the Board of CFA Association of Pakistan and under its banner; he has organized seminars on various topics of finance and has attended a number of conferences in Australia, USA and Far East. Previously, Mr. Bava has also assisted IBA in designing courses on 'Introduction to Business Finance' and 'Corporate Finance'. Mr. Ashraf Bava is the Chairman of KSE's Development & Trading Affairs Committee and a member of Human Resources Committee and has also been nominated on the Board of National Clearing Company of Pakistan Limited by the KSE Board.